Without doubt, Fat Gripz and Fat Gripz Extreme are designed to optimize your muscle growth capacity beyond average expectations. The science behind their near-magical efficiency derives from their capacity to influence enhanced muscle activation, which you need to build your muscles and strength. Comparatively, Fat Gripz is lesser in diameter than Fat Gripz Extreme and is designed to suit the needs of beginners in weightlifting. The larger size and diameter of Fat Gripz Extreme suits it to the needs of weightlifting gurus. Unbiased reviews about Fat Gripz vs Fat Gripz Extreme show that you have to start one the first before graduating to the other. You need both products if you believe in the idea of progress as a devoted body builder. Why the Diameter Differs ? Fat Gripz Extreme is thicker in diameter than Fat Gripz by 0.5 inches. Fat Gripz measures 2.25 inches in diameter whereas Fat Gripz Extreme is 2.75 inches. There is a good reason for this difference. A beginner may not be comfortable with Fat Grips Extreme because it may appear too big and uncomfortable for unaccustomed palms and fingers. The idea is for trainers to begin with the smaller product and toughen their fingers before they start using Fat Gripz Extreme. The activation of the muscles will be more aggressive as you start using the bigger product. These two products are uniquely designed with military specifications. That is why they are used by Special Forces, cross-fit, UFC fighters, and tough trainers. Do you have Large or Small Palms? Genetics make some people to have large palms and longer fingers whereas others have smaller palms and shorter fingers. This is the second reason why Fat Gripz and Fat Gripz Extreme vary in thickness. 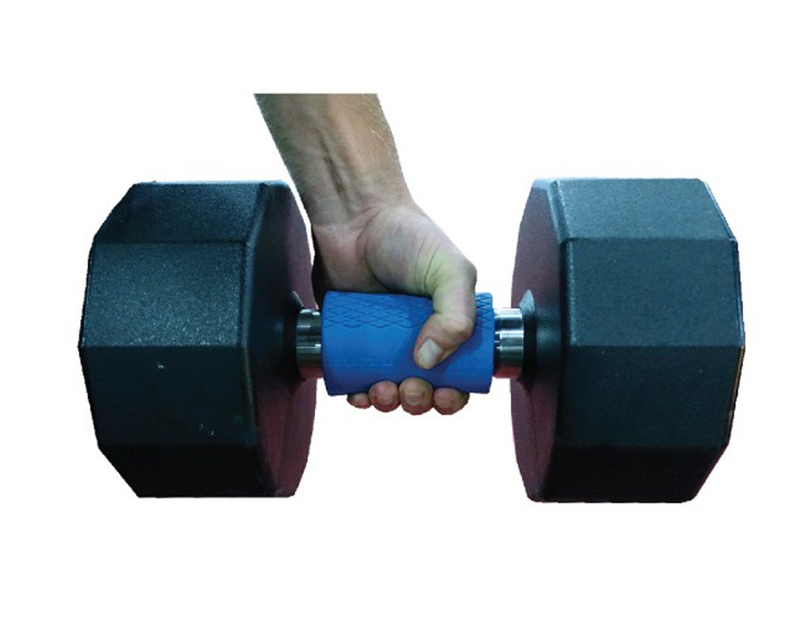 People with smaller hands will find Fat Gripz to be their most appropriate solution in the gym. You do not have to strain too much, or hurt yourself by clutching on Fat Grips Extreme if your palms are too small for it. Notably, both products are made of tough rubber to improve your grip. The two are also comparable with regard to aesthetics. Fat Gripz Extreme features a rich orange color, whereas Fat Gripz comes with an attractive color. It is fair to point out that both products are visually impressive. However, you do not need aesthetics to build your muscles. 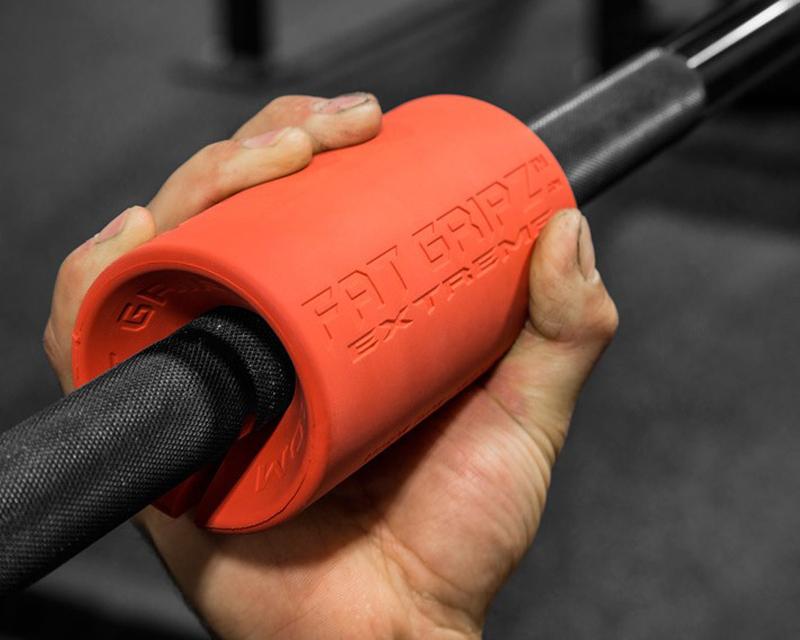 Fat Gripz and Fat Gripz Extreme are uniquely designed products that are meant to enhance the activation of your muscles during weightlifting. Every body builder should know some insights about Fat Gripz vs Fat Gripz Extreme. They are all made of high-intensity material that enhances your Gripz and improves your overall performance. 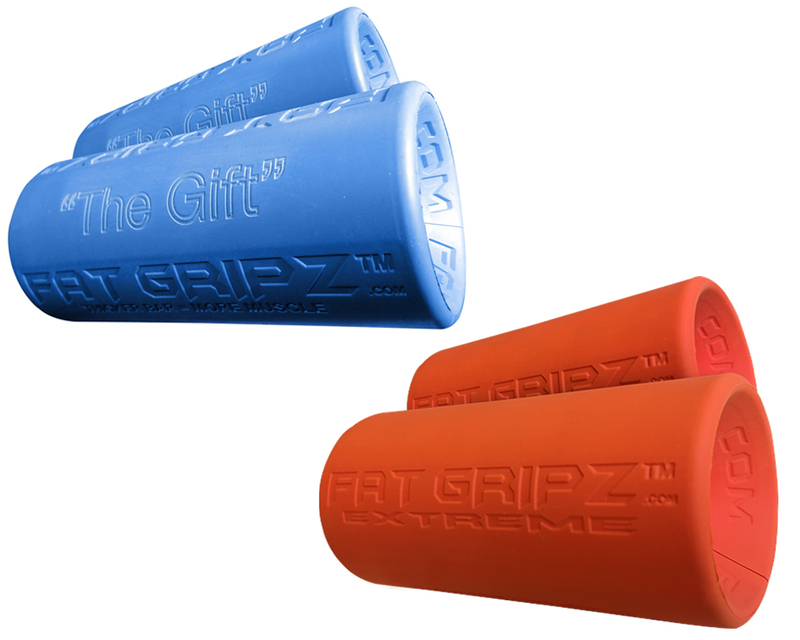 Fat Gripz Extreme is orange in color and thicker than Fat Gripz, which is blue. Fat Gripz is meant for beginners or people with small palms, whereas Fat Gripz Extreme is perfect for seasoned body builders, or trainers with larger palms and fingers.